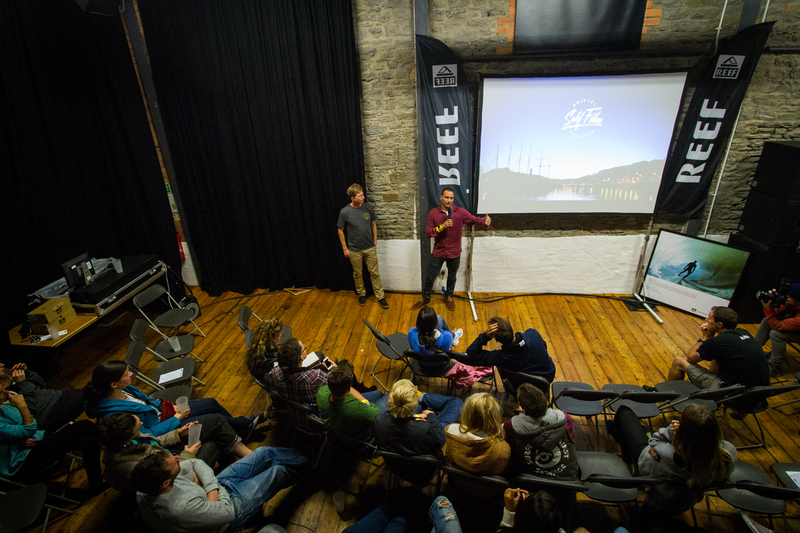 Last night saw the 2nd annual Bristol Surf film fest go down at the Paintworks exhibition space in the heart of Bristols creative quarter. 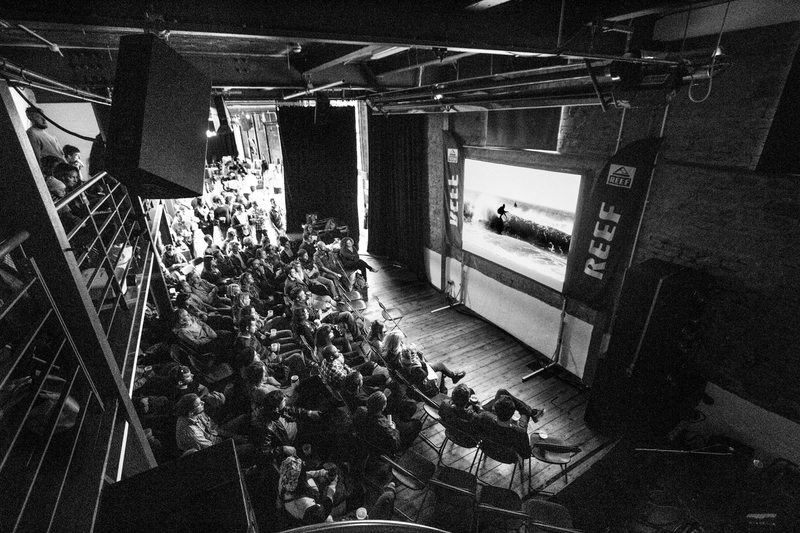 As well as an eclectic bill of films the event featured various talks, a Q+A with charger Eric Ribiere and a live band, providing the perfect opportunity for Bristols large surf community to convene away from the ocean and enjoy a day of culture and entertainment. The event was supported by Spoke and Stringer, a local harbour side bike and surf shop come tapas bar, along with Reef, Deus and the Critical Slide Society. First up on the bill was the feature length Bear Island, which tells the story of 3 Norweigan brothers who dropped everything to search for waves on a remote island north of the Arctic Circle. The film features some beautiful visuals and exudes an incandescent sense of abandon and adventure, as well as examining some of the issues that arise around the pursuit of these virtues, raising poignant questions around the surf-life balance that many surfers will have tussled with. Other highlights from the day included ‘Gathering’- an upbeat and celebratory piece featuring Rasta a friends surfing a whole range of craft and Samuel Glazebrooks ‘How to Road Trip’ which although we’ve seen before it was a pleasure to watch again. The evening saw a Q+A with Eric Ribiere, where he spoke honestly and eloquently providing an interesting insight into the mindset and preparation required for tackling some of the biggest and scariest waves on the planet. This was followed by the final two films of the evening- ‘The Fjord’ and Hugh, the event organisers personal favourite, Morgan Massens showreel. As the curtains closed and the beer continued to flow the event welcomed John Fairhurst band to see in the night. Overall the day was a resounding success and we are sure it will return next year, so if your in the area keep an ear out for details and make sure you get it in your diary.